Abby Bauer, Hoard’s Dairyman Associate Editor writes about Kiefland Holsteins in southeastern Minnesota who installed its first robotic milkers in 2011, and the family has learned a great deal in the past four years. Chad Kieffer recently spoke at the Precisino Dairy Conference. Read below or the article here. Chad Kieffer is a dairy nutritionist and part owner of his family’s dairy farm, Kiefland Holsteins, in Utica, Minn. Four years ago, the farm replaced their outdated parlor with the installation of three robotic milkers; two years later, they added two more. Kieffer shared lessons his family learned since the installation of their automated milking system at the Precision Dairy Conference in Rochester, Minn. The farm also utilizes a robotic feed pusher, which Kieffer says is low maintenance and saves energy. “It has also proven successful in improving feed intake,” he said. As for footbaths, Kieffer has found it best to put them in crossovers than rather in return lanes. 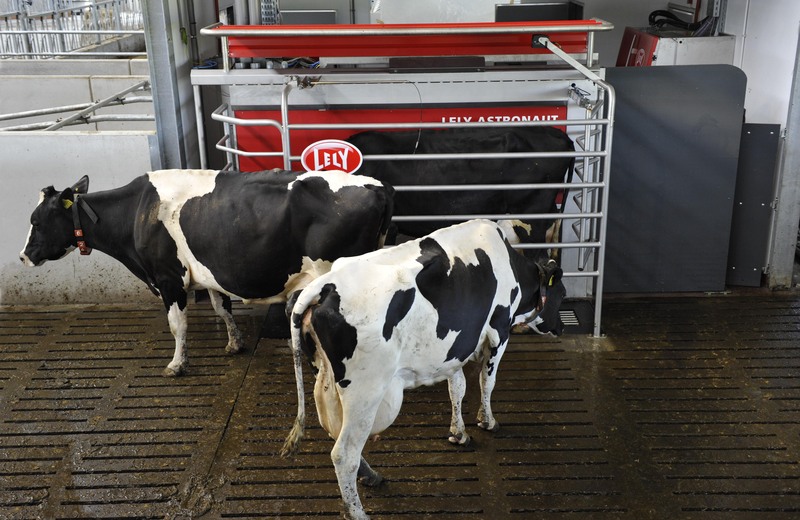 Maximize milkings per hour and milkings per day, while minimizing robot downtime. Remove slow and inefficient cows, including those that are slow milking or perpetual “fetch” cows. Minimize robot failures. On their farm, they aim for less than five per robot per day. Reduce milking preparation time by keeping cows clean and singing udders. 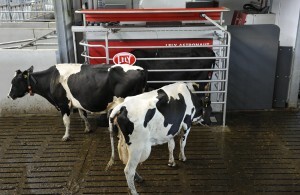 Optimize milking time by assuring all mechanical aspects of the robots are working. Start with the right barn layout for smooth cow movement. Have a passion for cows or have employees that do. Identify the best fit ration, and work with a knowledgeable team to help get you there. Maintain open communication among owners and employees, and strong management skills of both cows and people. Learn how to do maintenance repairs on your own, and build a strong relationship with your dealer for technical support. Kieffer encourages producers to “think milk per hour and milk per robot.” He also said to search for hidden areas where improvements can be made and focus on the details to best achieve success.